Heart attacks are, of course, very serious episodes that threaten the life of the victim. 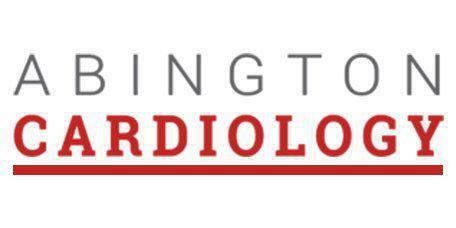 Dr. Meshkov and the team at Abington Cardiology in Jenkintown, Pennsylvania, help patients lower their risk of experiencing heart attack, even when previous attacks occurred. Dr. Meshkov reviews and treats your heart attack risk factors with prevention in mind, so make an appointment and get started on the path to a healthier heart. As with all muscles in the body, the heart needs oxygen. When the oxygen supply, delivered through blood flow, fails, a heart attack occurs. Plaque is a substance made up of cholesterol, fat and other substances, and it builds up in the arteries supplying the heart muscle in a condition called atherosclerosis. Plaque deposits break and blood clots form around these, blocking blood flow more completely. When these blockages result in damage to the heart muscle, the heart attack begins. This is also known as myocardial infarction. Does a heart attack cause permanent damage? The tissue that’s compromised by the heart attack heals in the form of scar tissue. Much depends on the extent of the damaged tissue. If the blockage affected only a small region, then the area will heal and the rest of the heart can compensate. However, heart strength and pumping capacity may be reduced, which contributes to further cardiovascular deterioration. Recovery usually involves both medical treatment and changes to lifestyle, particularly through diet, activity, and stress reduction. How is heart attack damage treated medically? If you think you’re experiencing a heart attack, call 911 and get emergency medical treatment as soon as possible. To reduce your risk factors and review your heart health, make an appointment with Dr. Meshkov and his team today. At Abington Cardiology, we accept most major insurance plans. Here is a list of some of the plans we accept. Please contact our office if you do not see your insurance provider listed.